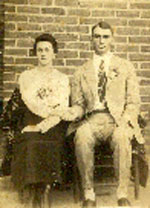 Elizabeth Culpepper married G. A. Eiland on 28 Nov 1882 in Chilton Co., Alabama. Luverne Culpepper, 73, of Wadley died Thursday, Feb. 2, 1995, as the result of an automobile accident near Wedowee. 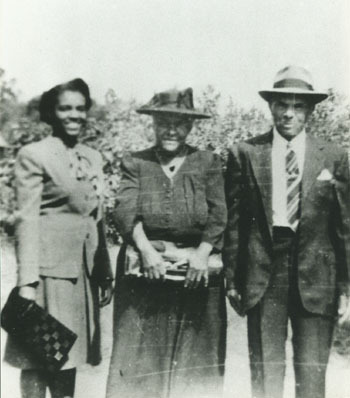 Miss Culpepper was born at Wadley on April 10, 1921, daughter of Dave and Ida Smith Culpepper. She attended school in Randolph County, later studied at Tuskegee Institute and Alabama A&M College, and for a number of years taught school in the Randolph County system. She was an active member of Pleasant Grove Baptist Church, Wadley. Survivors include one sister, Juanita Busbee; one brother, Thomas Culpepper of Dayton, Ohio; one uncle, Willis Lee Houston; a special great-nephew, Nicholas Busbee II; and many nieces, nephews and other relatives and friends. By R. M. Allen, M. G.
Biography* � That the Zouches branched from the Earls of Brittany is admitted by all genealogists, but they do not coincide in the exact line of descent. William la Zusche to the monks of Swavesey, in Cambridgeshire, the grants made by his ancestors to the abbey St. Segius and Bacchus, in Anjou (to which the priory of Swavesey was a cell), calls Roger la Zusche, his father, and Alan la Zusche, his grandfather. This William died in the first year of the reign of King John, and was succeeded by his brother, Roger. Biography* � William la Zusche left an only daughter Joyce, who married Roger Mortimer, of Richard's Castle, and had issue: Hugh Mortimer, summoned to parliament as Lord Mortimer, of Richard's Castle; and William Mortimer, who assumed the surname of Zouche, and was summoned to parliament as Lord Zouche, of Mortimer. My information about the wife or wives of Aulsey Dean is very limited. Another theory is perhaps the marriage itself never took place or didn't survive long. Aulsey's affair that resulted in being found guilty of "begetting Polly Hall with child" may have ruined that romance. Another thought is that the wife hated the name "Hannah" and perhaps preferred a second name of " Rebecca". This could explain why the name "Hannah" was not given to any children or grandchildren. The absence of the name Hannah to any of the descendants seems the most significant to me. Maybe someday, we will find some kind of record. Barren, Kentucky; Roll 5; Page: 66; Family History Number: 0181350; Image: 00046. 1 female 16 - 25.